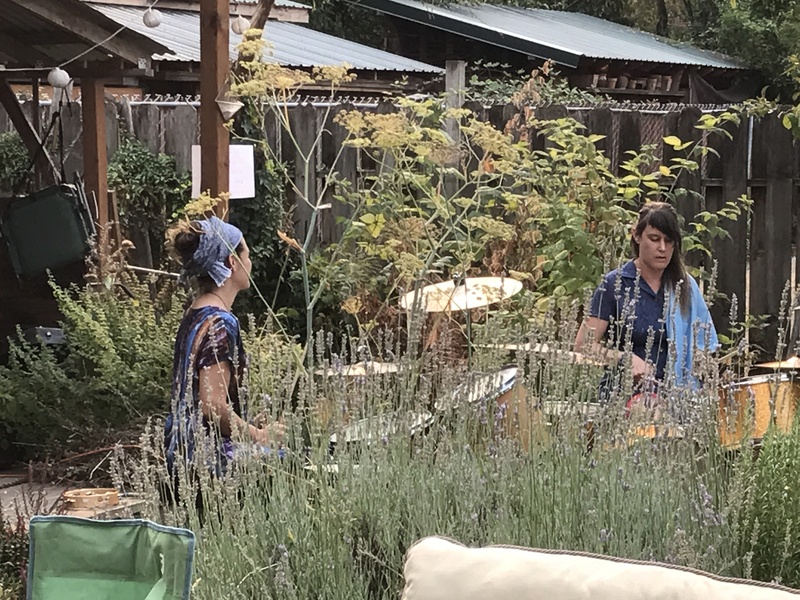 CHAVRUTA: A DRUMMER’S BAT MITZVAH is a 15-minute documentary short by Portland, Oregon-based filmmaker Jodi Darby, with drummer/ecologist Lisa Schonberg and musician/Torah teacher Alicia Jo Rabins. CHAVRUTA follows Lisa and Alicia as they trade rock drum lessons for Torah chanting lessons in a feminist project combining ritual, study and art, culminating in Lisa’s adult bat mitzvah. The word “chavruta” refers to the traditional partner-style study of Jewish texts. Viewers join Alicia and Lisa on a wide-ranging journey of study as together they explore such varied subjects as how to chant the Torah, pre-Israelite goddess culture, the history of women’s drumming in the ancient Near East, female spiritual leadership, and ecology. At its core, CHAVRUTA is a short film about how we pass on wisdom from one generation to the next, how we honor ancient traditions while holding on to contemporary values, and the power of friendship. This film was made with invaluable support from Regional Arts and Culture Council and the Peleh Fund. We are currently in the process of planning premiere screenings for winter-spring 2019, after which the film will be made available for free streaming. Please get in touch if you or your festival would like to host a premiere screening!